I'm planning to make spikes (red ones) and other attachments. But now (because I have 2 boys modelling monsters with at least 4 eyeballs and 10 teeth per monster) I'm in desperate need of extra extra extra eyeballs and teeth. Here you can find the tooth and eyeball stl files. Agree to the terms, download them and scale them according to your monster dimensions and make the best monster you can think off. 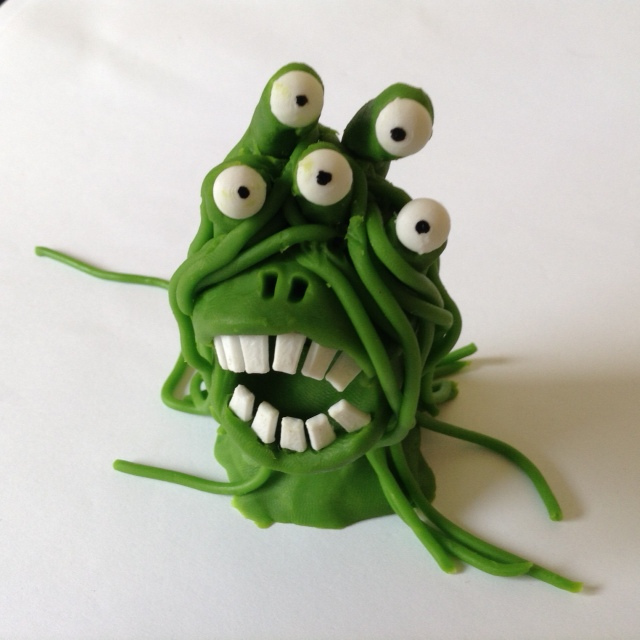 This entry was posted in 3D printer, Clay, Kids and tagged 3D printer, clay, eyeball, monster, teeth, tooth by Bas de Bruijn. Bookmark the permalink.